Choice. Power. Speed. Today's leaders continually face these forces. But with too many choices, too much power, and too much speed, leaders often make decisions in a heightened state of emotion (and drama). Hasty decisions are often poor ones and in this climate there is no place to hide. Privacy is a thing of the past; the days of covering up or ignoring a problem are over. In today's transparent culture, the decision making of leaders is more vulnerable then ever-and it is more critical than ever to get it right. 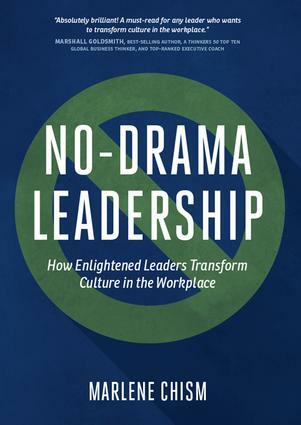 Marlene Chism's No-Drama Leadership introduces just the model the corporate world needs. Using case studies, checklists, and examples from various levels of hierarchy in leadership and from a variety of industries, Chism introduces the mindset shifts and practical skills needed to develop enlightened leaders, whose decision making flows from a much more grounded and aligned place. You will learn how to: Identify the signs of misalignment Increase your leadership effectiveness Use four quadrants of change as a catalyst for leadership growth Increase employee engagement Tap into the gifts and talents of your employees Communicate strategically Create a culture of accountability Increase innovation and productivity through empowerment Today's leader needs more than position, power, or business acumen. Today's leader needs more than self-management, communication skills, or emotional intelligence. We need leaders who are aligned, aware, and accountable, who balance choice and power with wisdom and responsibility-leaders who embrace and embody both the inner game of leadership growth with the outer game of business results, modeling both the mindsets and actions that transform the cultures they lead.